What should prisons look like? Can good prison design help the people held within them to avoid reoffending in the future? Architecture of Incarceration is the latest BBC Radio 4 documentary from PRA Productions. The programme’s presenter, architect Danna Walker, asks precisely these questions. Britain is committed to building 10,000 new prison places to replace old Victorian prisons, in a £1.3 billion project announced by George Osborne when he was Chancellor in 2015. But what exactly will we be spending our money on? BBC Radio 4 will be broadcasting a documentary, Architecture of Incarceration, on Thursday 23 August 2018 at 11.30am, which asks some searching questions about prison architecture and what we expect from the buildings that house almost 90,000 men and women convicted of criminal offences across England and Wales. 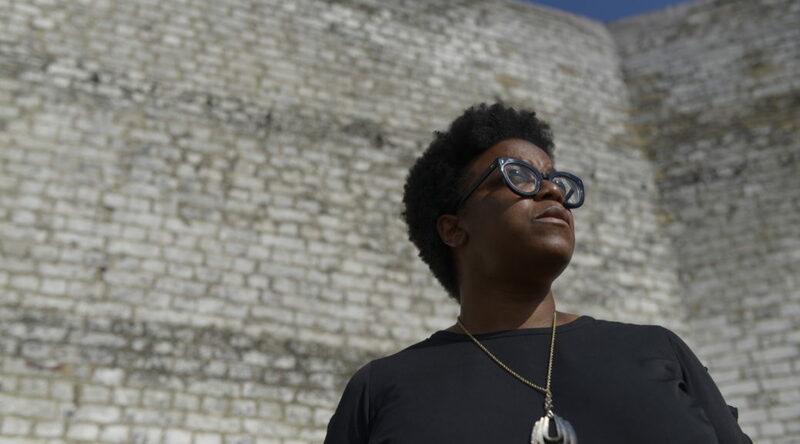 Architecture of Incarceration is presented by Danna Walker, an architect based in south London and founder of Built By Us, a consultancy that aims to diversify the construction industry. Prison has been the default punishment for the past 200 years. Prison architecture presents unique tensions. It is possibly the only area of architecture where the aim is not necessarily to create spaces that are aesthetically pleasing. A lack of innovation over many decades means that the go-to design for prisons dates from the eighteenth century. Prisons look like prisons – long, brick wings with cells on either side, radiating off a central hub like spokes off a wheel. But by most measures, prisons are failing. Around half of all people in prison will be reconvicted within twelve months of release. The cost to society of crime committed by people who have already been through the criminal justice system is estimated to cost the taxpayer between £10-15 billion each year. Is this current phase of prison building an opportunity to reimagine the architecture of incarceration for the twenty-first century? In the late 18th century, British utilitarian thinker Jeremy Bentham developed the Panopticon design upon which most prison buildings are based – a circular design featuring a central hub from which a single watchman could observe all prisoners without them knowing they were being watched. Bentham described the design as “a mill for grinding rogues honest”. Over the centuries, the standard, go-to design for prisons has been based on Bentham’s ideas, apparently unchallenged. Yet report after report damns poorly-designed buildings, inadequate for rehabilitation. New prisons like HMP Berwyn in Wrexham, opened in 2017, have some progressive architectural flourishes, but essentially follow the centuries-old blueprint of plain facades, punctuated by tiny windows. Yet the work that takes place inside them is of fundamental importance to the safety of our society. Visiting London’s oldest jail, HMP Brixton, as well as the unusual setting of HMP Styal near Manchester, the programme questions the role of prison, whether it should make people feel happy and whether good design can drive better outcomes. The programme also visits Halden Prison in Norway, built ten years ago and often cited as “the world’s most humane prison”. Halden has its own problems – it is very expensive to run – but could we learn valuable lessons from its strikingly humane architecture as we embark on our own transformative prison building programme? The Art of Now: Architecture of Incarceration is on BBC Radio 4 on Thursday 23 August 2018 at 11.30am. It will also be available on the BBC iPlayer Radio App to hear on demand following broadcast.